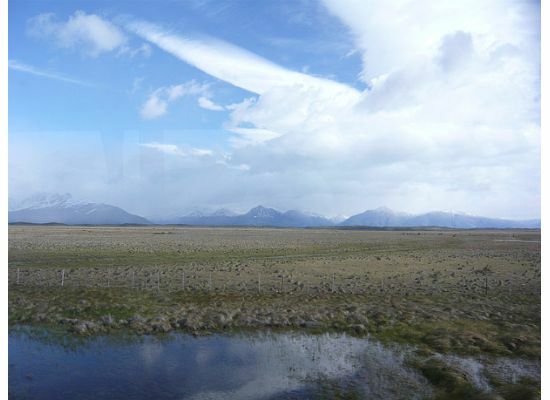 After leaving El Chalten, we boarded the sole bus headed back down Ruta 40 to El Calafate. 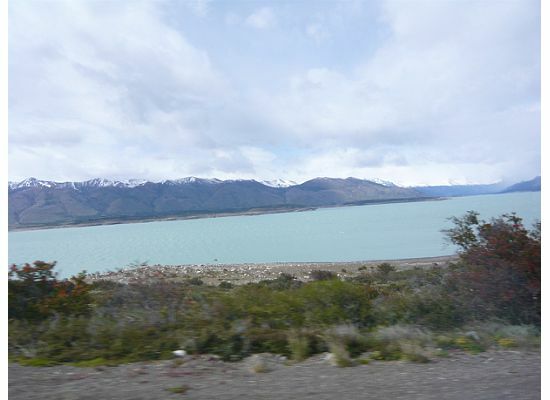 This time, I wasn’t shocked by the barrenness of the land, the no man’s land of guachos, guancos, condors and pumas. I was just plain old tired. Tired from all the hiking, and tired of all the travel. 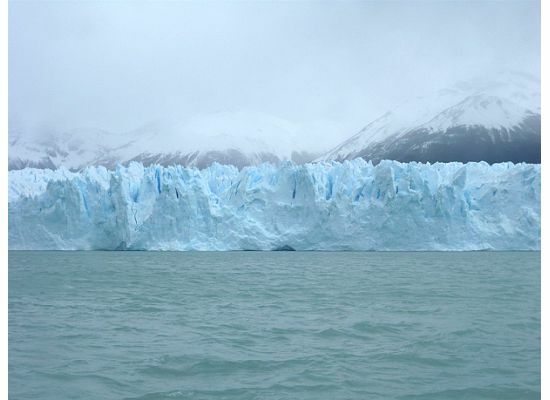 It is amazing how truly long it takes to reach this part of the world. Four flights, long, bumpy bus rides and then there you are in the middle of nowhere. 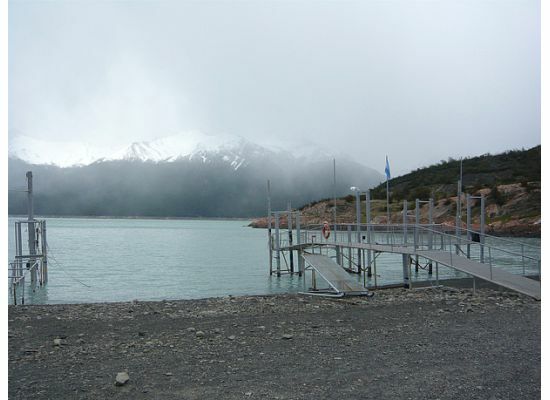 We arrived at the bus depot in El Calafate late at night, met our driver who swiftly escorted us to our hotel and were just in time for the ten o’clock dinner seating. Eating so late is not my favorite. First of all, I’m always starving by 5 or 6 pm, which is my usual dinner time (blame it on the kids! ), and second of all, I find it hard to sleep on a full belly. Yet sometimes you have no choice in the matter, especially when you are traveling in countries where eating late is the norm (such as Spain where I could hardly stay awake for the eleven o’clock dining). Regardless, we were famished and all that remained open was our lovely hotel bar where we wondrously gobbled up an entire meal (appetizer, salad, entrée, dessert, and of course a bottle of vino tiento). We were up at the crack of dawn again but this time it wasn’t an anticipated hike that woke us up but the crazy, noisy strange birds that screeched outside our hotel window. 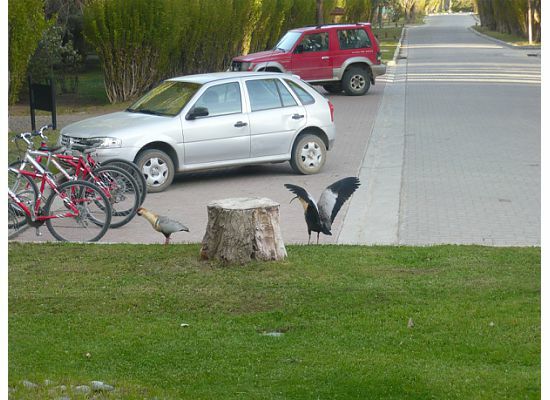 Extremely curious what on earth could make such a horrendous sound, I pulled back the curtain to find these large, annoying, unusual looking birds who sounded somewhat like Canadian geese, having some kind of party outside my hotel window. Oh well, at least it was a built in alarm clock. Today was yet another big day. 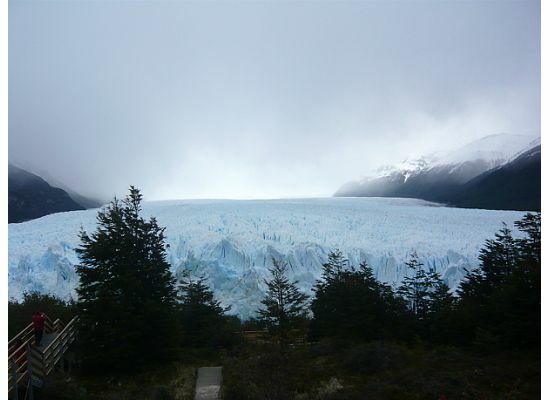 We were off on a grand, full day excursion to see the world famous Perito Moreno Glacier, and I could hardly wait! 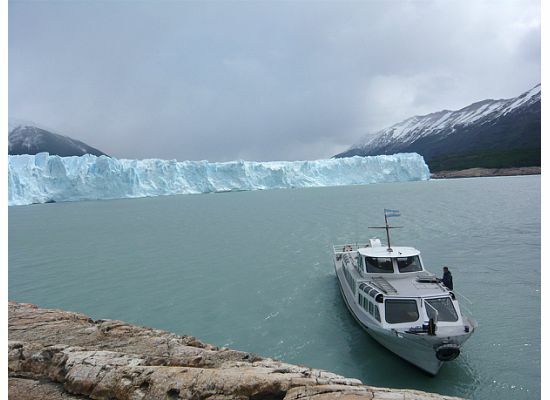 A visit to the Perito Moreno Glacier, located about 78 km/48 miles from El Calafate in the Los Glaciares National Park (declared a UNESCO World Heritage Site in 1981) is one of the most spectacular and unforgettable experiences in all of Patagonia. 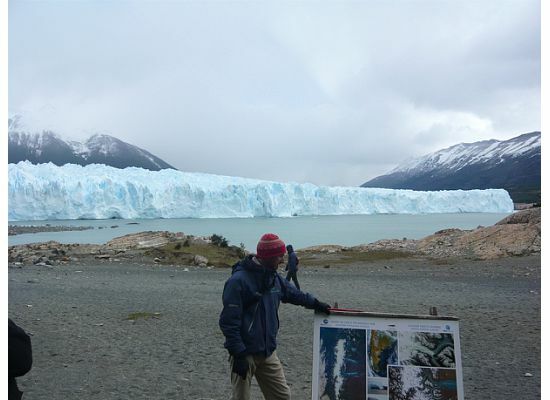 Known as one of the few still advancing glaciers on Earth, Perito Moreno is also one of the most unique tourist destinations in all of Argentina. 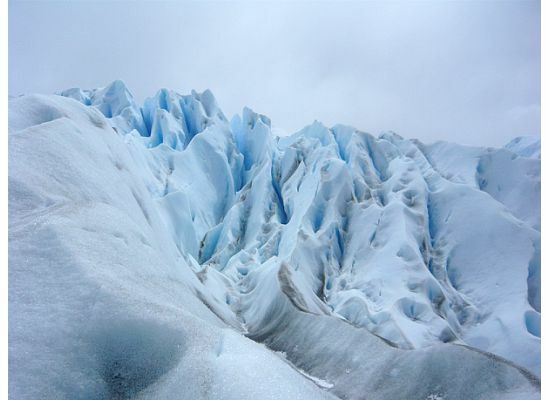 The magnificent, massive glacier measuring approximately 250 km2/97 square miles and 30 km/19 miles in length is one of 48 glaciers fed by the Southern Patagonian Ice Field (the world’s third largest reserve of fresh water). 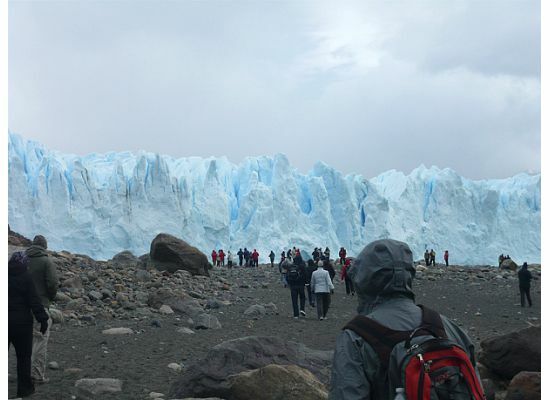 It’s massive size (a true beast of a glacier) is so incredibly amazing that many people are completely awe-struck and taken aback by its magnificence. It is truly a wonder of this magnificent, unbelievable Earth. 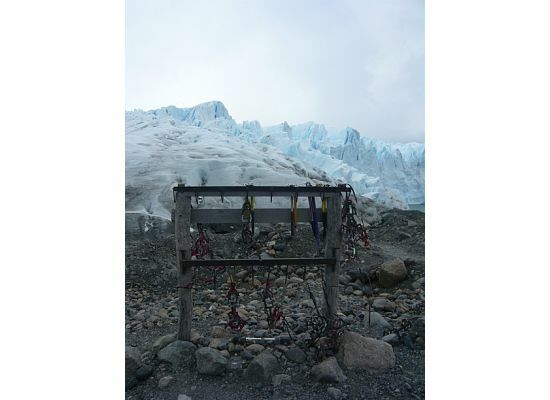 The Perito Moreno glacier was named after the renowned Argentine explorer Francisco Moreno, a trailblazing pioneer who studied the region in the 19th century and played a major role in defending the territory of Argentina in the conflict surrounding the international border dispute with Chile. 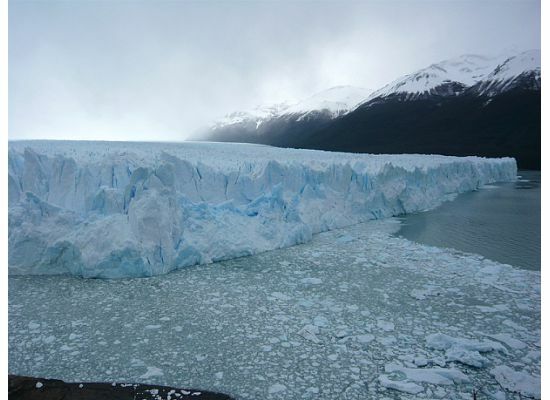 Ironically, Moreno, never even saw the incredible ice-formation that bears his name today. What a pity! 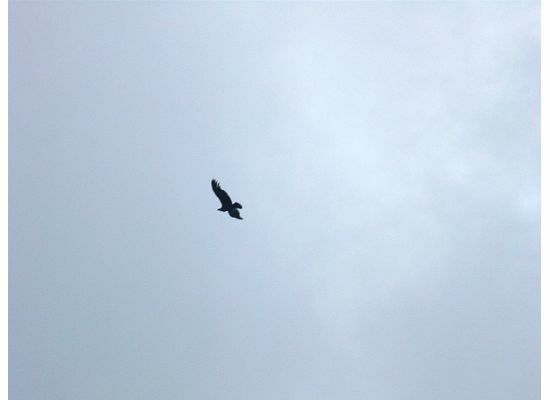 Here we come…look out WIND! 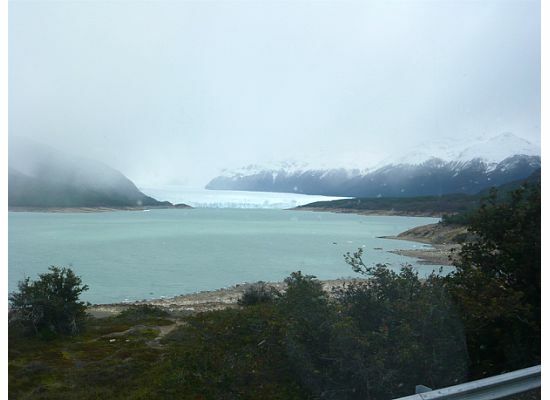 Perito Moreno Glacier advances into Lago Argentino separating it into two halves. 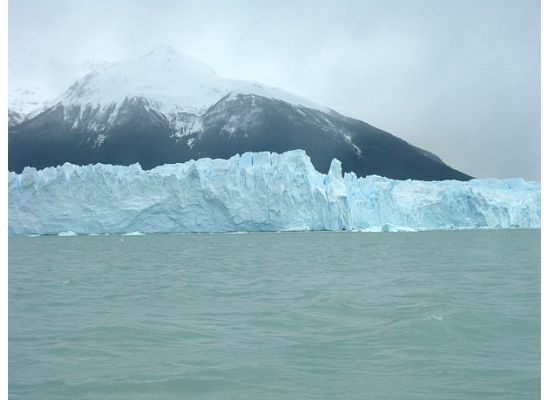 As you take the boat ride out to the terminus of the glacier, you can see this bizarre division and it appears as if there are two separate lakes, one on each side of the gigantic face of the glacier. 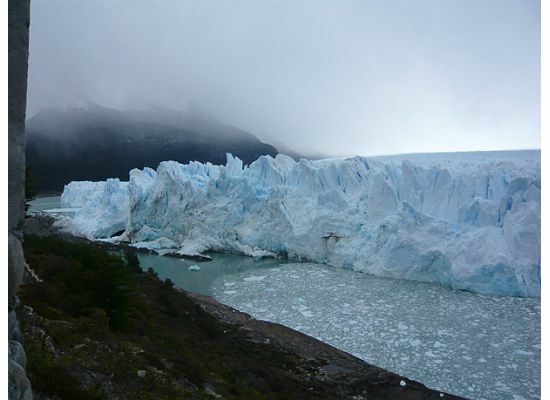 The pressure and movement of the glacier creates an incredible show for the spectators. 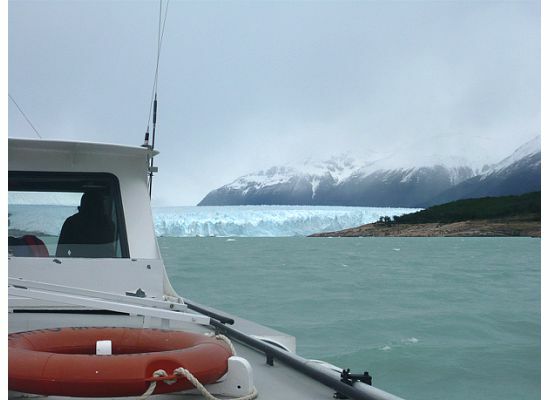 As the glacier is pushed forward into the lake by the massive Southern Patagonian Ice Field, every few minutes one can hear the thunderous roar and crash of enormous pieces of heavy ice breaking off of the glacier and smashing into the lake (this phenomenon is called “calving”) then floating away as majestic, glistening icebergs. 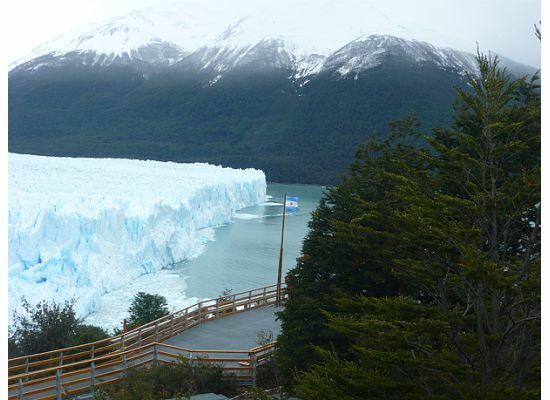 It is an amazing site to see, that is for sure. 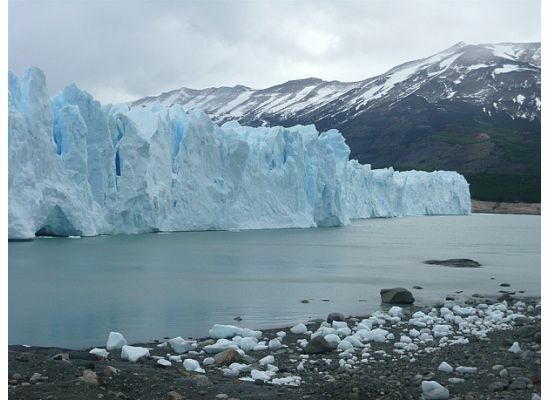 The sheer mass and power of the ever-changing glacier, breaking apart into “baby” icebergs makes is somehow seem like its alive. 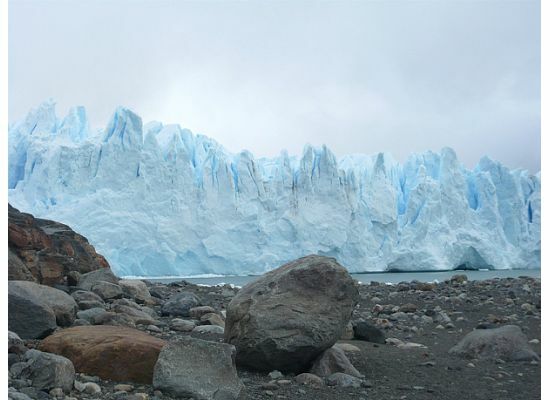 As you approach the glacier, you are startled at the sheer size and mass of this enormous piece of ice. It is truly from out of this world. 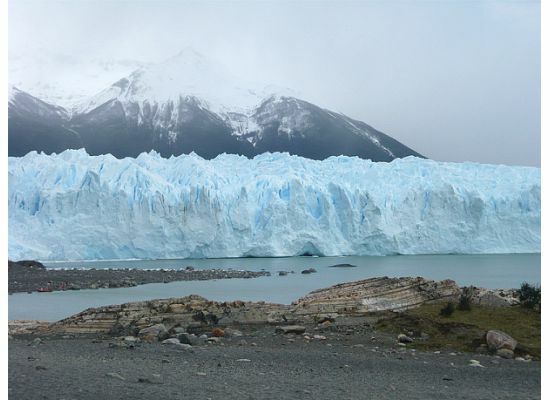 The Perito Moreno Glacier is one of only three Patagonian glaciers that is growing. 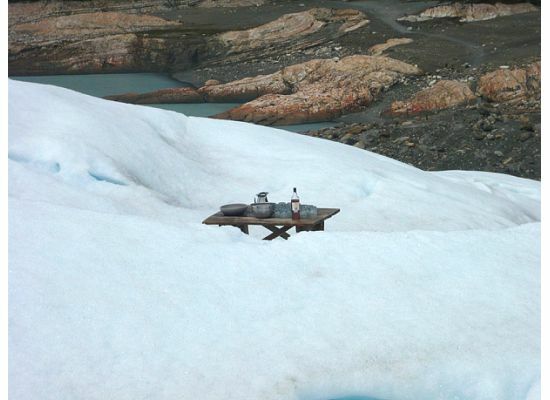 The reason remains debated by glaciologists. 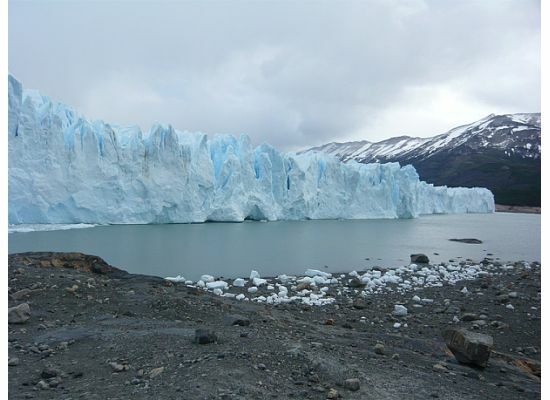 The terminus of the Perito Moreno Glacier is 5 km/3 miles wide, with an average height of 74 m/240 ft high (above the lake) and an ice depth 170 m/558 ft.
More shots of the glacier…sorry I couldn’t stop taking photos! Going overboard on photos but I couldn’t stop taking them because it was so amazing. 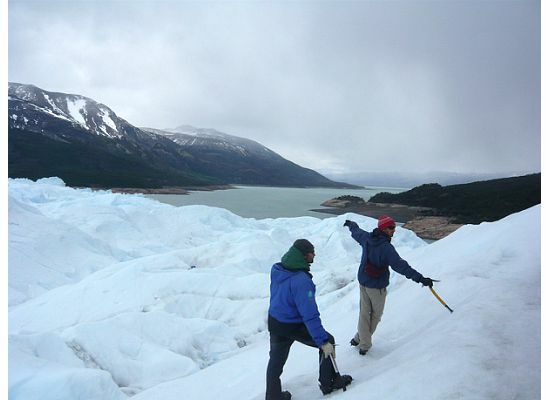 Entering the glacier. Not sure if you can see the tiny dotes of people on the left side. 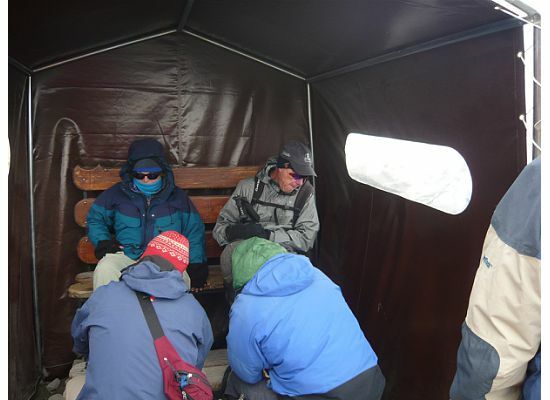 That is where we start our climb after we get fitted with our crampons. 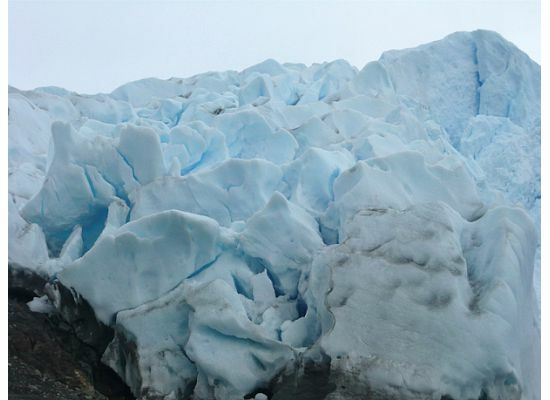 Not so close…a 100 foot deep ice crevasse. 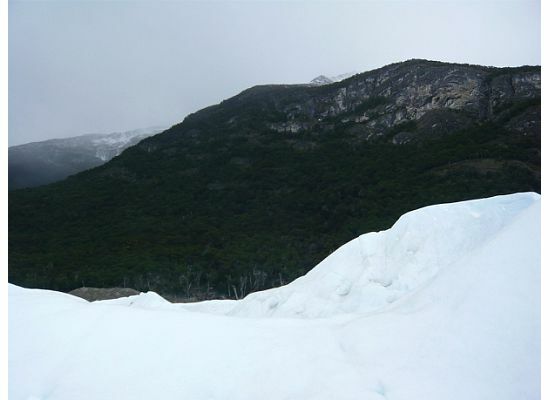 There is actually a strange type of insect that lives in the ice and eats microscopic organisms inside the glacier! Sometimes truth is stranger than fiction! 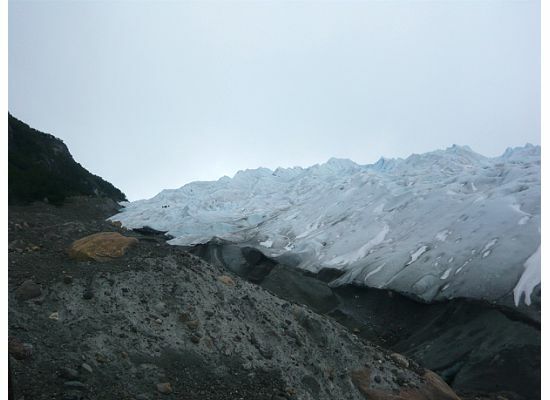 An attempt to show how massive this glacier is. 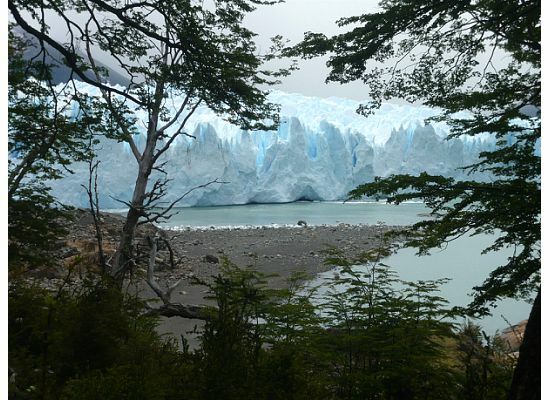 It comes off the enormous Patagonian Ice Field which runs down Patagonia through Argentina and Chile. Thirdeyemom in her element. True Bliss indeed! 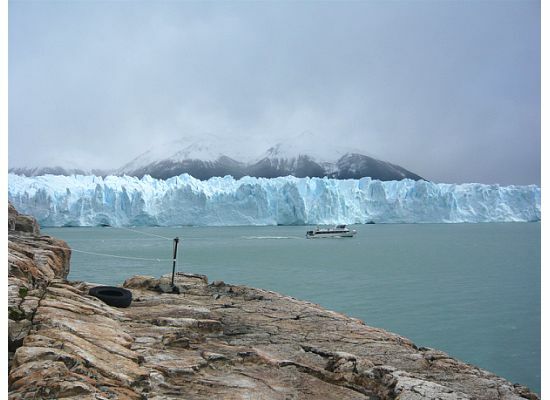 One last shoot before I leave….Goodbye Argentina…until we meet again! 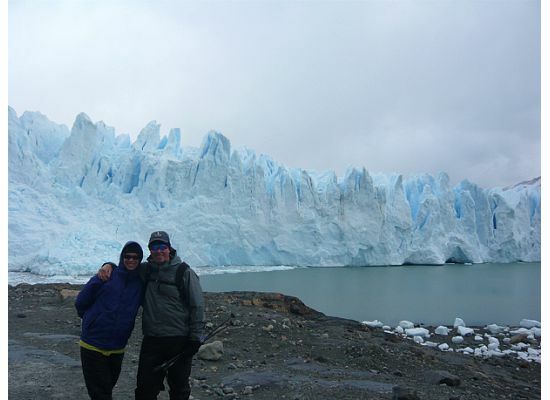 We left Argentina the next day for our long journey back. 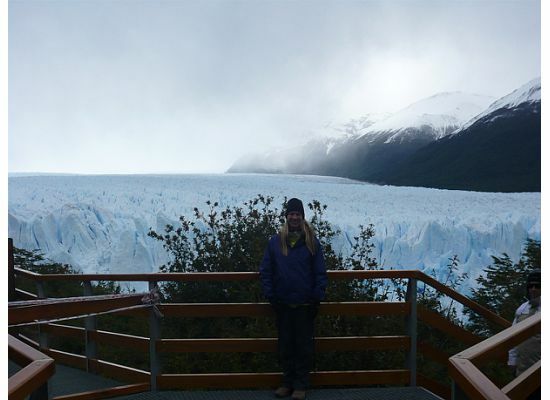 It was an amazing trip, one that fulfills the imagination and keeps me dreaming for the day I can come back! Amazing. I thoroughly enjoyed reading and seeing. Very good your statement. 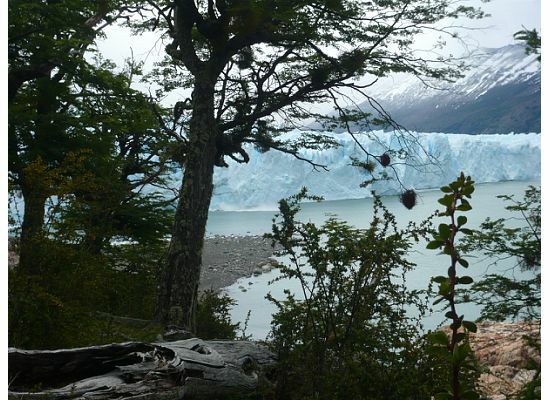 I lived a lot of time in the Patagonia, I write my experiences. Here you have a video in my post that can be of your pleasure. 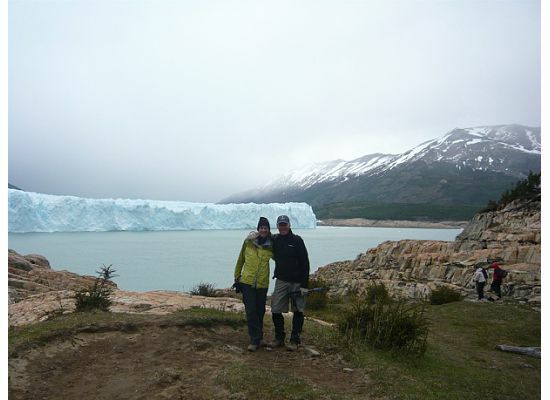 I loved Patagonia and the Perito Moreno Glacier really is awe-inspiring. Thanks for sharing your photos. They remind me of how incredible it is. Mine were taken before I went digital so aren’t in Guatemala with me but one day I want to scan all the 1000s of photos I’ve taken on my travels and publish them on my blog.